Laura Sampietro-Colom is a trained Medical Doctor; Board Certified Specialist in Preventive Medicine and Public Health (UB) and holds a PhD in Medicine and Surgery (UAB), and a Master of Science in Public Health by the Rolling School of Public Health (Emory University). She is Head of the Health Technology Assessment (HTA) Unit in the Research and Innovation Directorate at the Hospital Clinic of Barcelona, a high-tech hospital and a reference for health care, research, innovation and medical training in Spain. She is also the Chair-Elect of the HTAi Policy Forum and Chair of the first Latin-American HTAi Policy Forum. 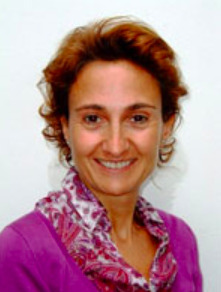 Prior to this, she was the General Director of Information Systems, Projects and Evaluation of the Catalan Health Institute, the leading provider of public health services in the Region of Catalonia and the Director of the Strategic Planning Unit of Health Services within the Planning and Evaluation Directorate of the Ministry of Health of Catalonia, Spain. She has over 20 years of experience in evaluative research, as well as post graduate courses in Health Economics, Management of Health Care Institutions and Management of Innovation & Science. Throughout, her work has focused on the development, identification, management and transfer of information to advise on the designing of strategies and policies in the areas of assessment, planning and access of medical devices, drugs, surgical procedures and other health care technologies as well as health care programs.